As the average baseball salary is now $3.4 million, you'd expect players would drink well on their charter airplanes. Mi Sueño provides wines for the charter flights of four teams: the Padres, Braves, Athletics and Angels. It's all red wines for the first three; only the Angels have a white wine, a Chardonnay, in addition to the red. The charter flights aren't on planes owned by the teams; they're run by Delta and other airlines and stocked with food and beverages just as they stock business class for ordinary flights. So what do the other 26 teams drink? Whatever the airline picks up for them at retail price -- and let's face it, US airlines are terrible wine buyers. The beverage budget for most teams, and ballplayers' taste preference, means a lot of $20 Cabernets are being served to guys making $20 million a year. On the bright side, that means your favorite players are more likely to stay sober. 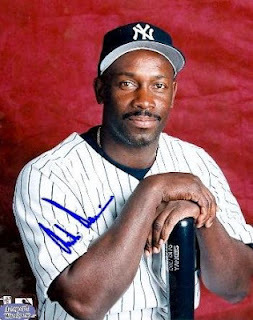 Mi Sueño's ballplayer connection started when longtime major leaguer Chili Davis visited the winery in the late '90s. He must have liked the wines, because "then a couple weeks later Scott Erickson and Bret Saberhagen showed up," said Tom Bracamontes, director of sales and marketing. Davis, now the hitting coach for the A's, played for six teams and knew a lot of players. Word of his find spread rapidly. David Wells is a big fan and has invited Bracamontes to his home in San Diego, where he has a spy movie-like hidden memorabilia room that houses a full-length coat worn by Babe Ruth, among other treasures. Barry Zito is also a big fan and pours the wine at a benefit event he hosts for US troops abroad every spring in Phoenix. The Padres were the first team to get Mi Sueño wines on their airplane. One of the players asked about it, and Bracamontes told the airline he would charge the regular wholesale price, which shocked Delta because it was paying retail. "The guys love it," Bracamontes said. "They drink better, and Delta's happy because they stay within the beverage budget and the players don't complain about the wine." Mi Sueño ("my dream") is a great story without the baseball connection. Owner/winemaker Rolando Herrera achieved the American dream. When he was 10, and immigration politics were not as contentious, his father brought him from Michoacán, Mexico to Napa Valley. The family moved home five years later, but Herrera soon returned on his own, like so many others, and got a job as a dishwasher at Auberge du Soleil. Herrera took a summer job building a stone wall for Warren Winiarski, owner of Stag's Leap Wine Cellars. Winiarski took a liking to him and offered him a full-time job under the condition that he attend school in the mornings. 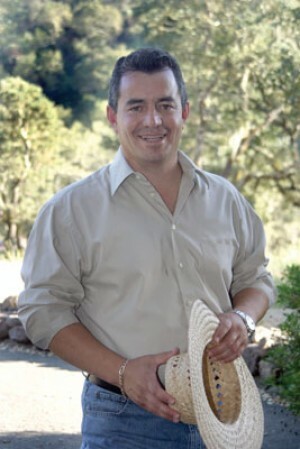 Herrera spent 10 years at Stag's Leap, the last seven as cellar master, before moving on to winemaking jobs elsewhere. His first vintage at Mi Sueño was 1997. Three of his wines have been served at the White House, including to former Mexican president Vicente Fox. I can't listen to his story without thinking about how creating an agricultural visa to encourage more hard-working immigrants to come would help this country. When I visited Mi Sueño, Herrera was in Mexico with his six kids. "That's our future work force. Our labor costs are going to go down," Bracamontes said. Herrera takes the kids there every summer for a month so they know where they came from, and also because speaking good Spanish is essential for running vineyards in California today. So how is the ballplayers' wine? It's a classic crowd-pleasing Napa Valley red blend. 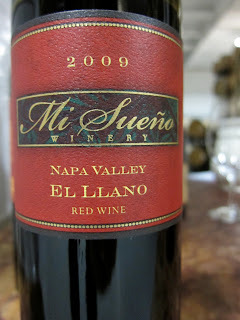 Mi Sueño Napa Valley El Llano 2008 ($40) is 70% Cabernet Sauvignon with 30% Syrah. It's straightforward, delivering ripe blackberry fruit with good acidity that makes it easy to finish a glass or two. At 14.5% alcohol, it puts the fun back in celebrating an extra-inning victory without leaving players squinting too badly the next day. The winery makes 5000 cases of it each year, half its total production, and because the Cabernet at $65 is too much for the beverage budget, this is the one that goes on planes. Ballplayers reading this can look forward to even better wine next year: the 2009 El Llano, not released yet, is more complex, with interesting violet notes and tannins that add gravitas on the finish. Personally I think Mi Sueño's small-production Napa Valley Syrah ($45) is the best wine the winery makes, but I'm a writer, not a ballplayer. I like its complexity, with coffee, earth and dark chocolate notes and a little pepper on the finish. It's Syrah, which means that even though they only make 150 cases a year, they can't sell it, so '06 is the current vintage and '07 is waiting in the wings. This is a good thing for the wine, as the flavors meld with additional bottle age. But who likes Syrah these days? Surprisingly, Mi Sueño doesn't publicize its baseball connection. The Mexican connection is well known, but until this blog post, the ballplayers only talked among themselves about their love for the wine. But there are benefits for the winery anyway, beyond the jersey collection. "I'm going to the Giants' game Thursday, and I'll go into the broadcast booth and the clubhouse," Bracamontes said. "You don't sell that many wines over the course of the year doing this. But it's fun."